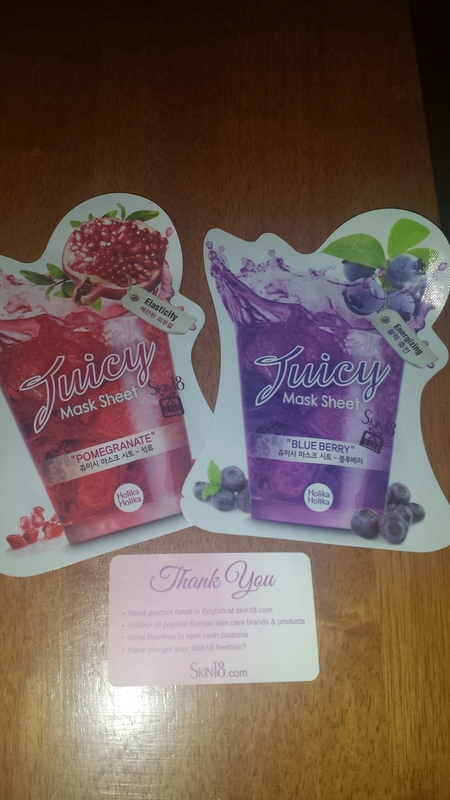 I received these masks from skin18.com for review purposes. 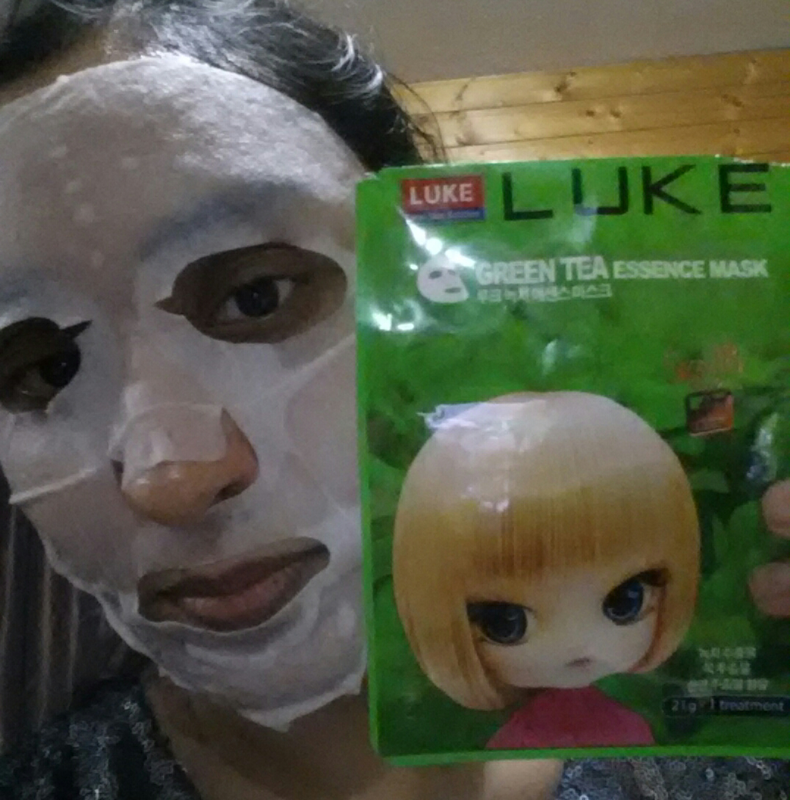 This is the first time I am trying out a Holika Mask. Both masks contains Vitamins A, C & D for clear bright skin. It has no parabens, benzophenone, mineral oil, silicone or coloring. The packaging is very bright, colorful, eye-catching and attractive. It also comes with instructions in English on the back. 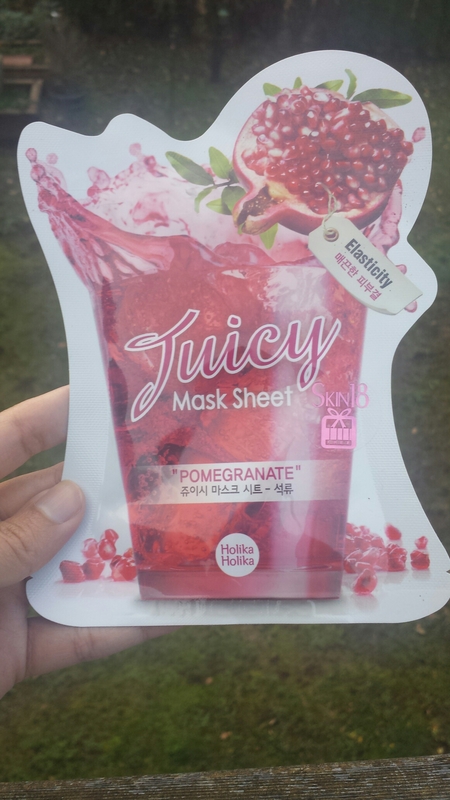 The Holika Holika Juicy Mask sheet in pomegranate is focused on elasticity. The mask itself is thin but strong and soaked with serum. It has pomegranate, grapefruit, orange peel and apricot extract. This mask had a light pomegranate smell to it which I liked as it was not very overwhelming. The smell disappeared after sometime anyway. Pomegranate contains estrogen which makes skin smooth and vibrant. It clung to my skin quite nicely. I had this mask on my face for 30 minutes and when I removed it my skin looked smooth and bright. 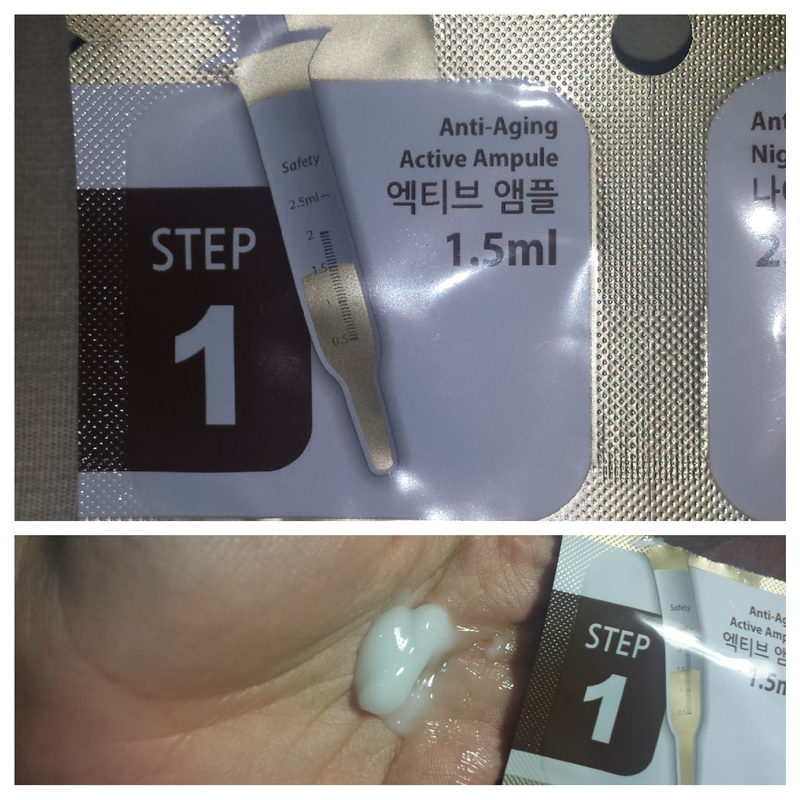 There was a lot of serum left in the pack too which I used on my hands and feet. 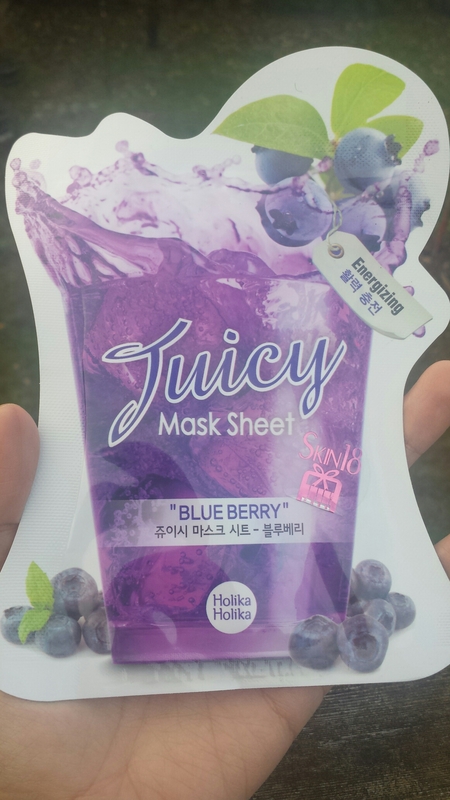 The Holika Holika Juicy Mask sheet in Blueberry is focused on energizing tired skin. When I first opened the pack, I smelled something wonderful. The mask had a heavenly floral scent to it! Seriously it was amazing they should bottle up this scent and sold it as perfumes. 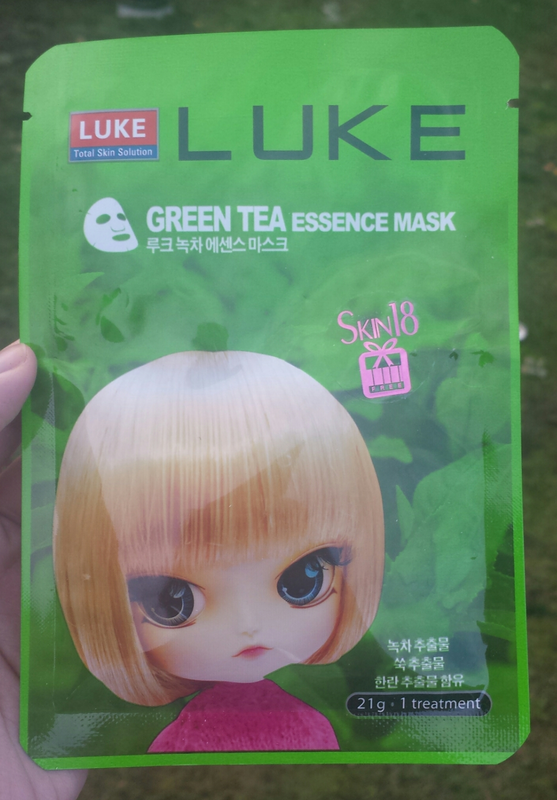 I mainly enjoyed the mask because of the scent. 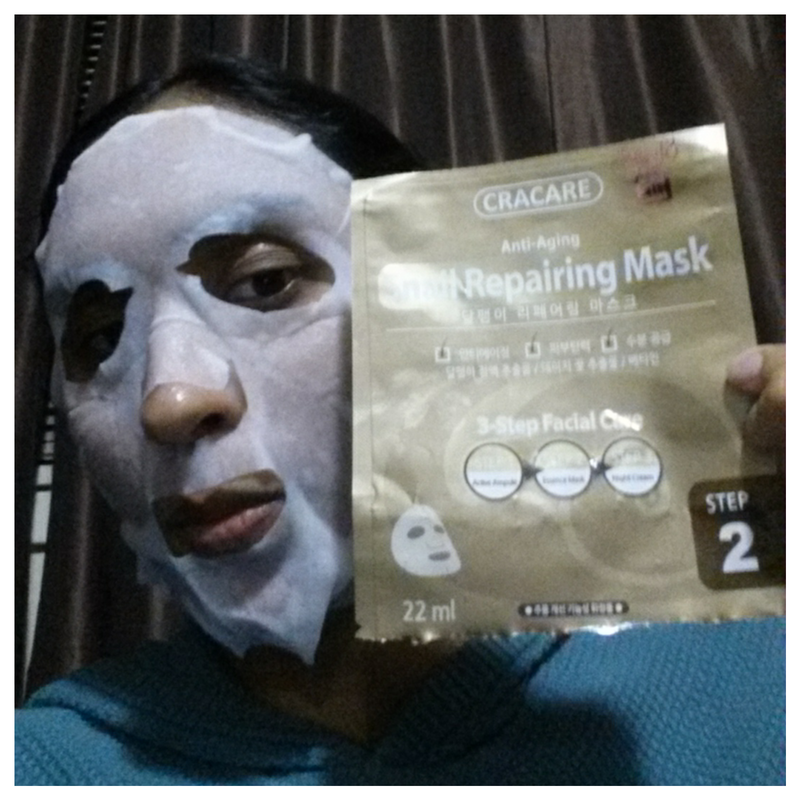 The mask contains extracts of acai berry, grapefruit, acerola and blueberry. Blueberry is rich with athocyanine which is essential to provide vitality and energy to tired skin. My skin felt bright soft and hydrated after using this mask. Skin18 also has separate sections of each on the homepage : freebies, crazy discounts count down, 50% off super deals, one dollar corner, newest products & bulk order. Click here for more information about skin18.com ! I received this product from skin18.com for review purposes! So I kept the best for last! Actually I have never used a modeling mask before and since I was skeptical as to how well it would perform, I saved it for my last post on these skin18 kbeauties. The packaging is very smart, attractive and colorful. 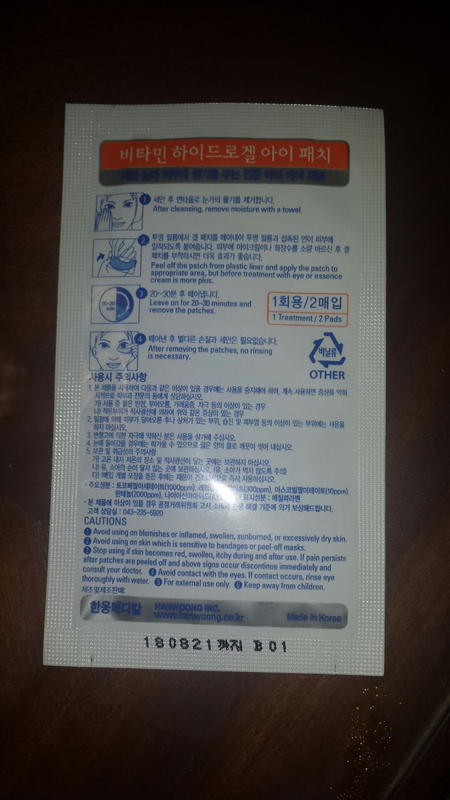 It is a one – time use mask pack. I received the collagen version to use. Unfortunately this product did not have any instructions in English. But it is easy to Google how to use it or better just go to skin18.com for detailed instructions. (which is what I did). This product claims provides moisture, strengthens skin and tightens pores. It also claims it is good for all types of skin especially sensitive. When I opened the pack, which was nicely sealed by the way, I saw what looked like fine, white baby powder to me. It even felt like powder though it had no smell. The pack also comes conveniently with a small spatula to use. The instructions claims to add water to the powder. But how to add the correct amount of water? Simple! Just use the cap of the pack to add two caps of water to the powder and mix with the spatula. Mix well till all the blobs disappear and it becomes a smooth white paste. 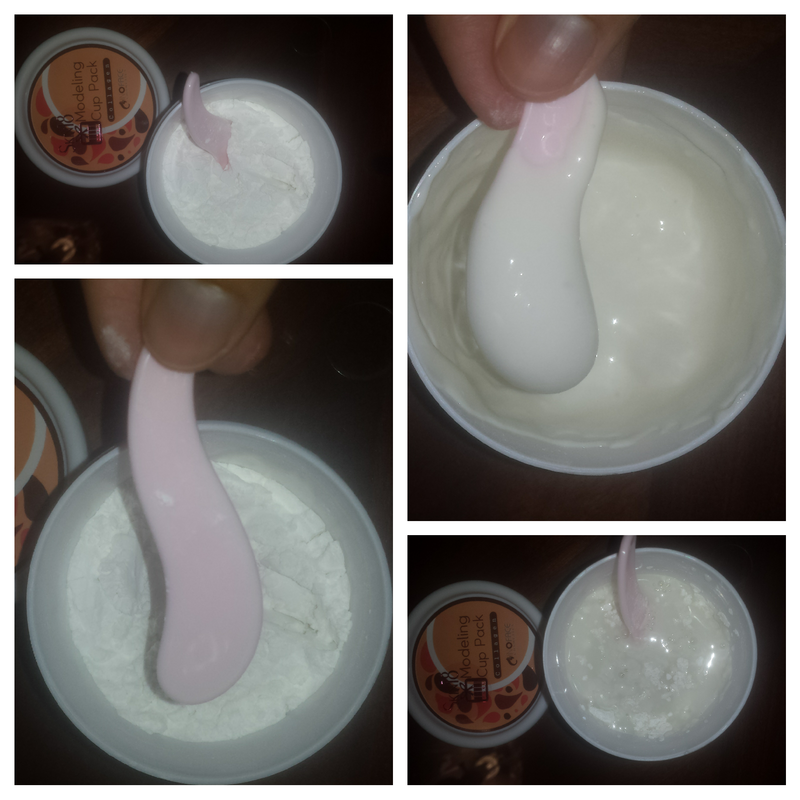 Next I used the spatula to apply this goopy mixture to my face and it kind of stuck to my skin. It was easy to apply. Most face masks that I have used ( which are mostly clay based), sometimes drips and makes the whole process messy. There would be spots of mask all over on my hands , neck, dress and the sink. But this was so easy and mess – free to use and apply. 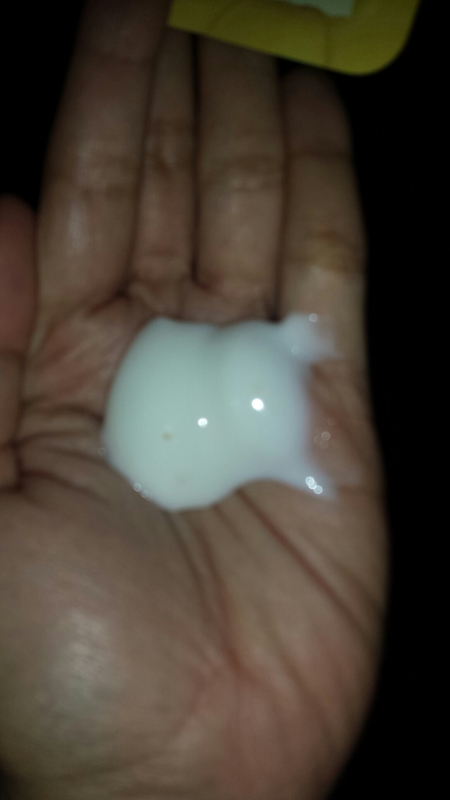 Since this mask just clung to my skin upon application, it did not drip nor was there any mess after application. Here am I looking like a horrible ghoul!Lol! The texture of the mask was very toothpaste like if you know what I mean. I can’t exactly describe it but I liked it a lot better than the other wash off masks that I have tried.The instructions state that after application, wait for 15 – 20 minutes and then slowly peel away the mask. For me , I did not even have to wait that long. The mask soon started to thicken and harden. And already parts of it was peeling away all by itself. It was easy to peel and remove the mask. There were some bits and pieces sticking to my face but it was easily removable with water. Here is a look at my (horror) model mask. I received this product from skin18.com for review purposes. 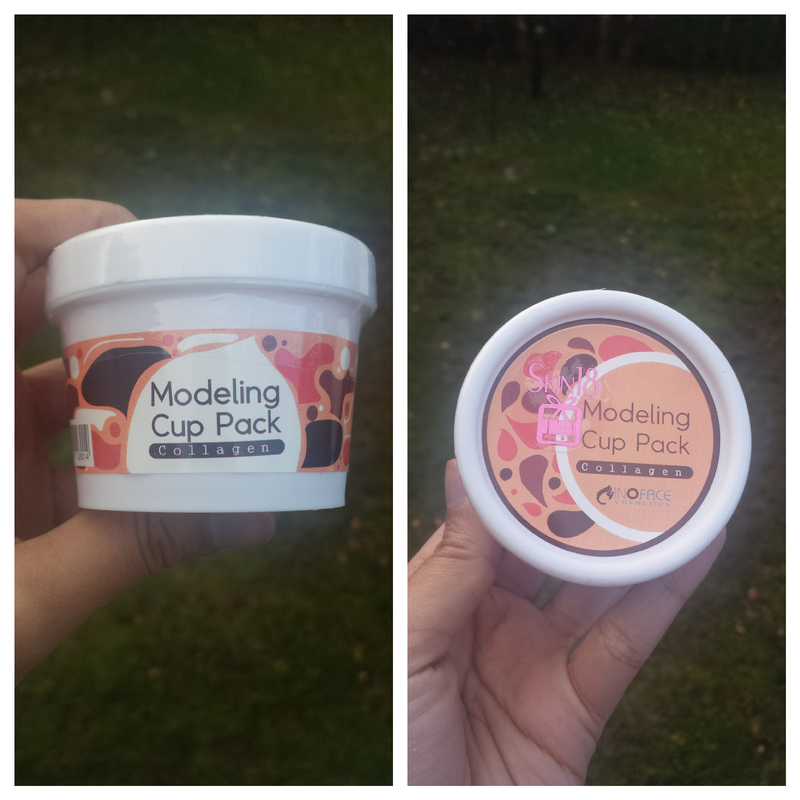 The packaging is very cute and attractive and comes in an eye catching green color. The pack also contains instructions in English on the back. 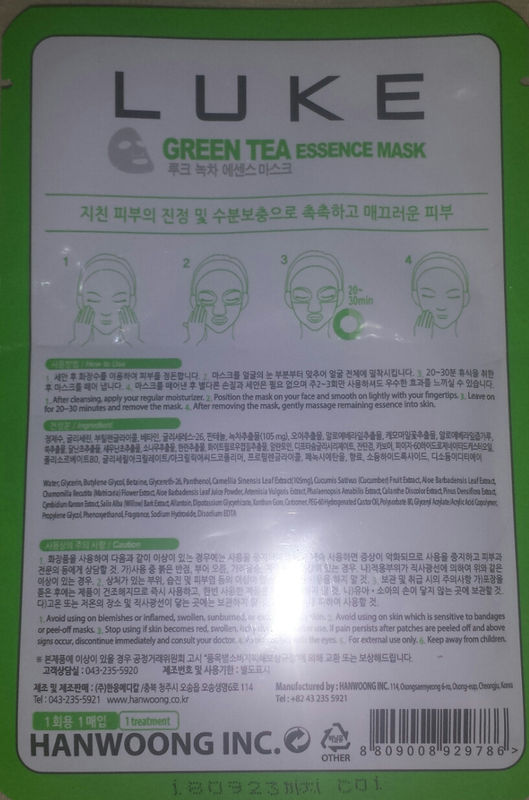 This mask contains green tea essence which focuses on healing wrinkles, fine lines, age spots and firms skin. Green tea contains antioxidants which fights premature aging by eliminating free radicals and increasing the production of new skin cells. This mask smells amazing. It smells like a combination of something floral and a little bit like green tea. The mask itself is thick and firm and is loaded with lots of essence. It was not flimsy like some masks where you have to be extremely careful or the mask will tear. There was a decent bit of essence left in the pack too. I wore this mask for more than 30 minutes actually. After application, my skin felt smooth , soft and bright. 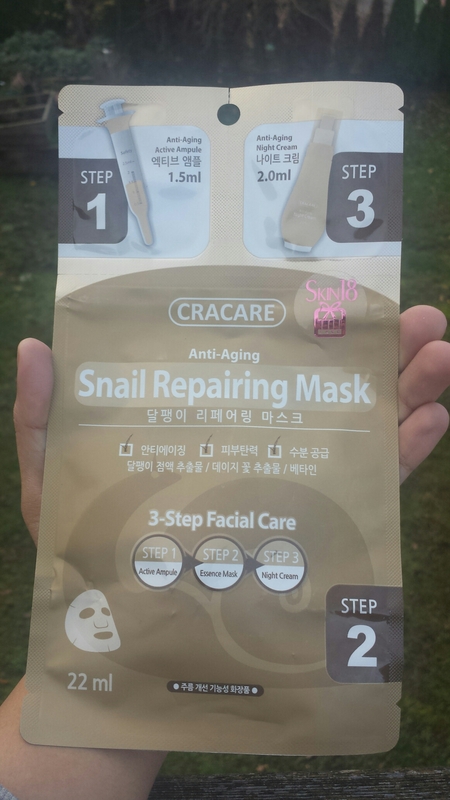 I received this product from skin18.com for review purposes. 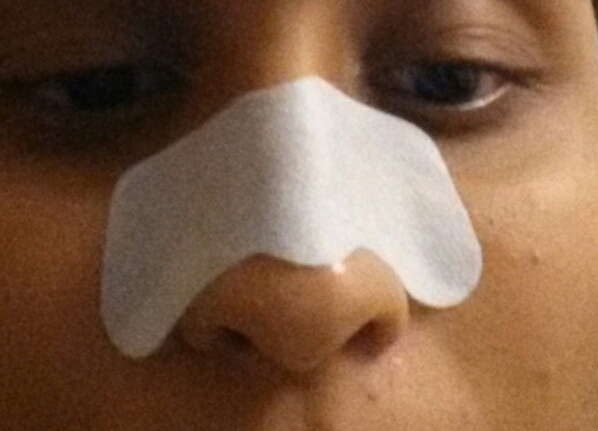 This is a nose strip containing Mugwort, used for cleansing the pores on the nose, removing the blackheads, tightening the pores as well as soothing the tightened pores in case of any irritation. It also contains Vitamin E, aloe vera, licorice root and Hamamelis Virginiana. The packaging looks cute and attractive. It is a small packet as it contains only one strip which is good for a one time use only. The small packaging also makes it very travel friendly. It also has instructions in English on the back. 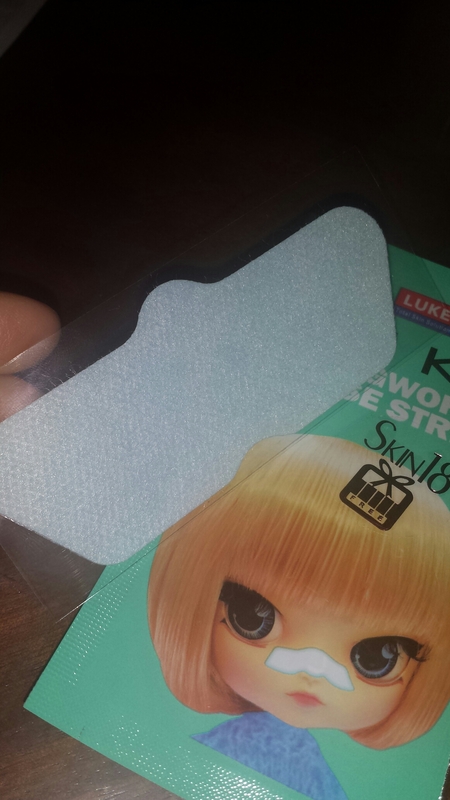 When I first opened the pack, I noticed that the strip is sticking to a plastic liner. 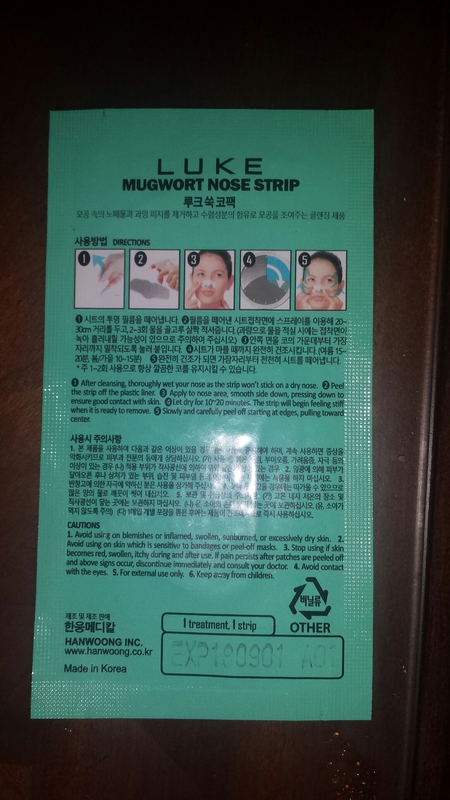 The instructions state to clean and wet the nose well as the strip will not stick to a dry nose. When I peeled off the strip, I noticed that it was not only very thin but it also resembled an ordinary paper sticker. Anyway when I applied it on my nose, I noticed a strong smell of Mugwort and it took sometime for the scent to completely disappear. I did not mind the smell as I love Mugwort but for those who are sensitive to scents be aware that the smell is quite strong. After 10-20 minutes, the strip started to feel dry and stiff, indicating that it is ready to be removed. I then carefully managed to peel off the strip starting from the edges. My nose looked neat and clean to me. I received this product from skin18.com for review purposes. This is an eye mask. The packaging looks neat and clean. It is a small package as it contains only 2 pads which are good for one treatment. And again this is good for travel. There are also instructions in English on the back. When I opened the pack, I noticed a faint orange scent, as I love oranges I did not mind this at all. And anyway the smell disappeared after sometime. As you can see the eye pads are pre-soaked with the treatment of moisture and Vitamin A, C, B5 & B3. These eye patches are loaded with the essential vitamins and moisture to prevent dark circles, puffiness and wrinkles. They also help to brighten tired looking eyes. 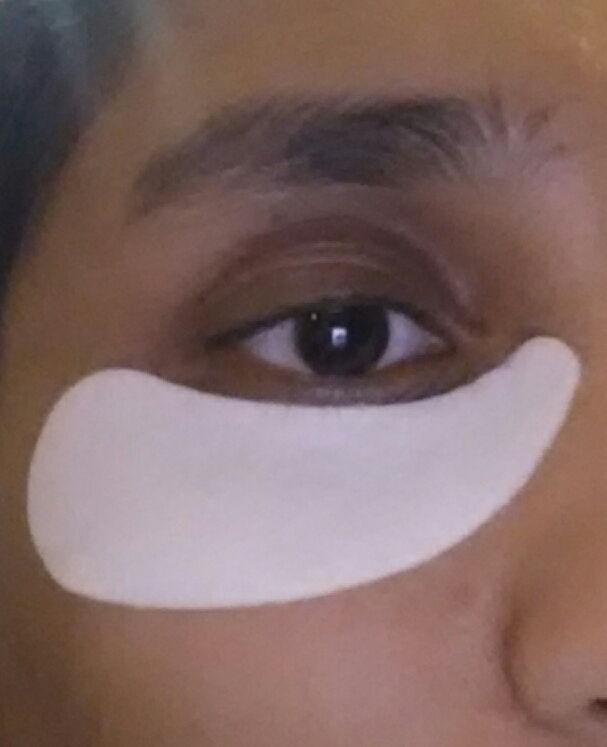 One side of the eye patches are dry while the other side is sticking to a plastic liner. The other side is cool, damp and sticky to the touch once it is peeled off the plastic. The instructions claims that it is better to apply an eye cream or essence before putting these eye pads on but it is only optional. Once I have applied the eye pads to my eyes, they feel very cool , moist and refreshing. Just exactly what I need after along tiring day. These patches are easy to apply and remove. After 30 minutes I removed them to discover bright , moisturized and relaxed looking eyes. Again the instructions claims that you can finish this treatment off with an eye serum or a cream now which is optional. I received this product from skin18.com for review purposes. 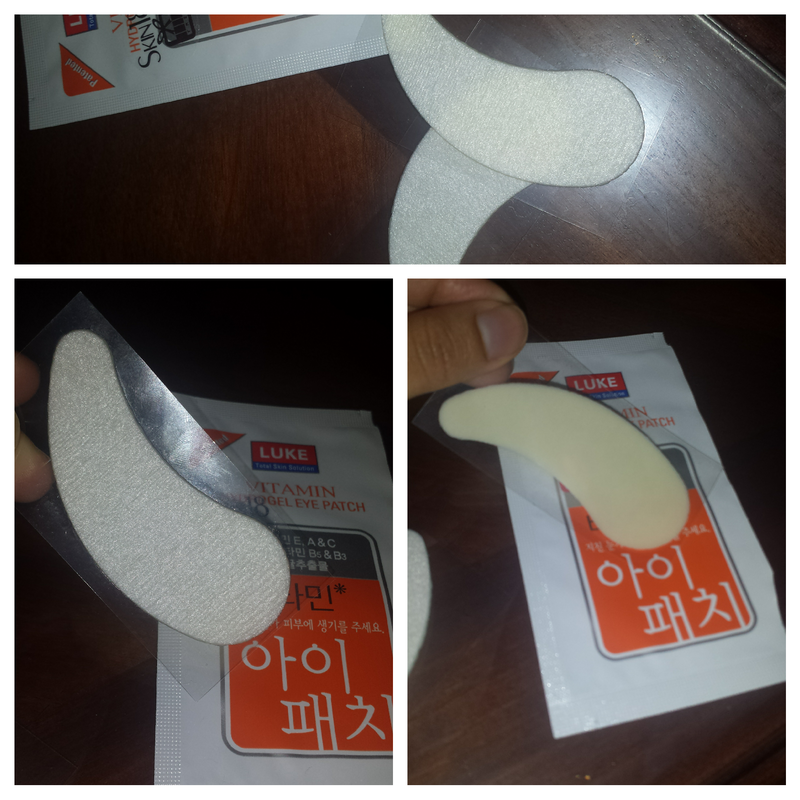 This is a wash off mask pack made in Korea, which claims to be suitable for all skin types. 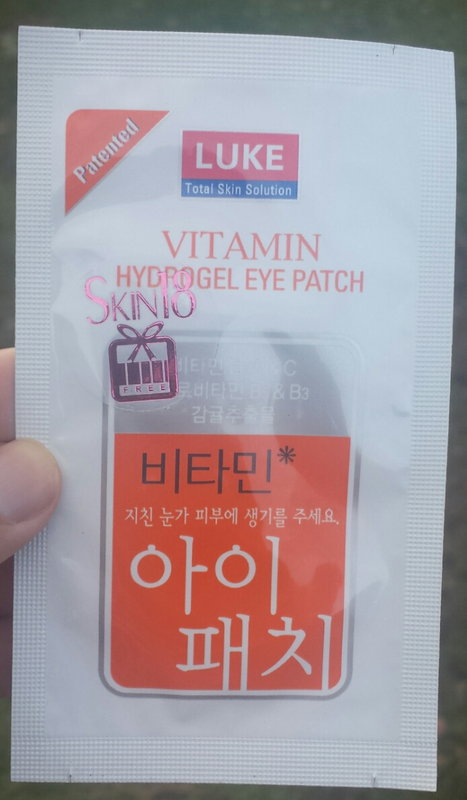 The packaging is a small, bright yellow pack with instructions in English on the back. I like the color, reminds me of sunny days. Anyway, this pack is good for a one-time use only. But the small package makes it highly useful for travel. Today I had a lot chores to do and was pressed for time. 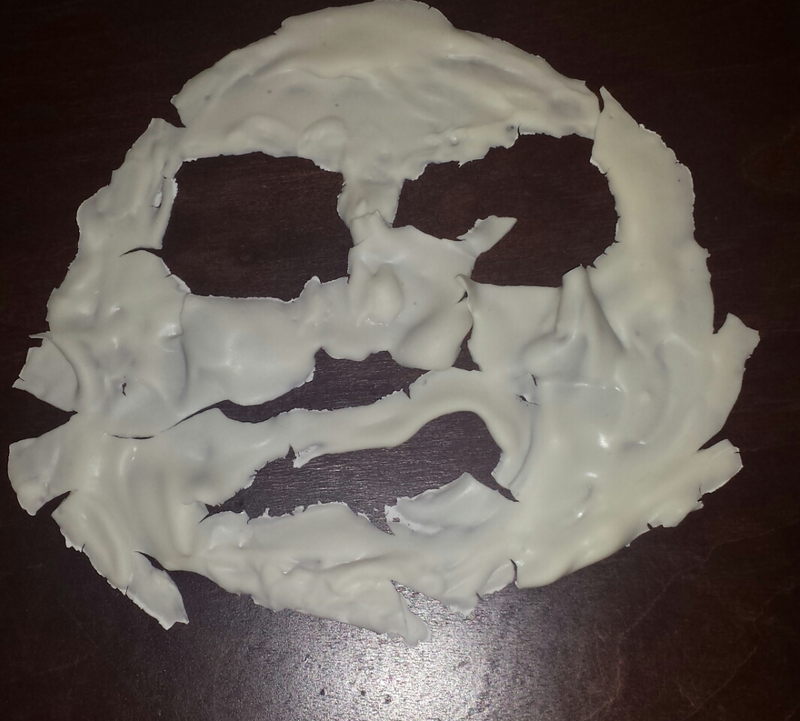 So I decided to use this mask as it requires only 5-10 minutes. This mask contains collagen, Vitamin E, mango extract, which soothes and moisturizes the skin & yogurt extract which softens and refreshes the skin. 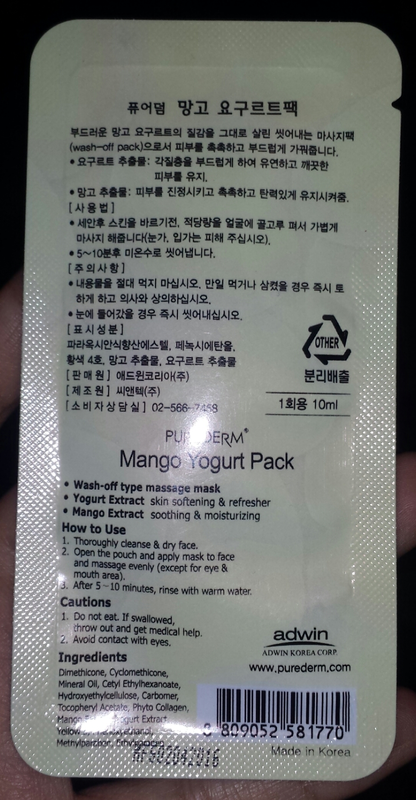 When I opened the mask , I was expecting a mango scent but it did not have any scent at all. 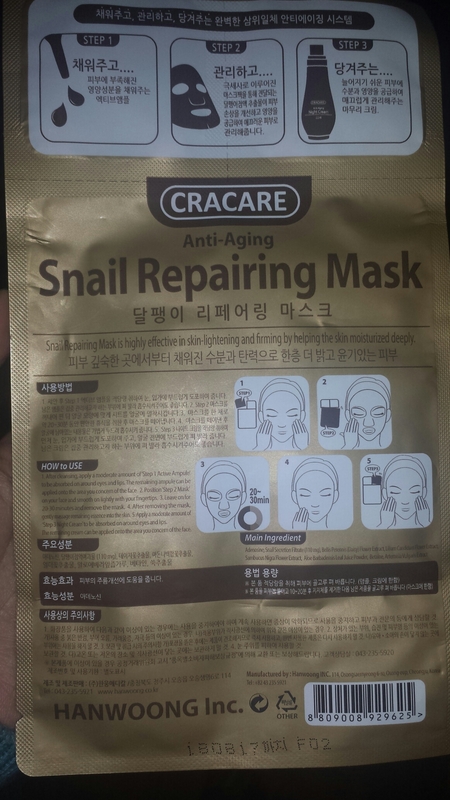 Also I was expecting it to be more like some of my clay masks but it had a rich creamy texture. Almost like a thick , heavy , greasy moisturizer used on very dry skin. And that’s how it felt on my skin too when I applied it. But since it was a wash off mask and the instructions states to rinse it off after 5 – 10 minutes, I did not mind. While on my face, the mask did not dry at all. It just sat there feeling wet and sticky on my face. After 10 minutes , I washed it off. It was quite easy to remove as it had not dried at all but was still sticky and gooey. And my skin did feel soft, smooth and moisturized afterwards. I like that it comes in a travel friendly packaging. And I would definitely use it on those days when I barely have any time on my hands. 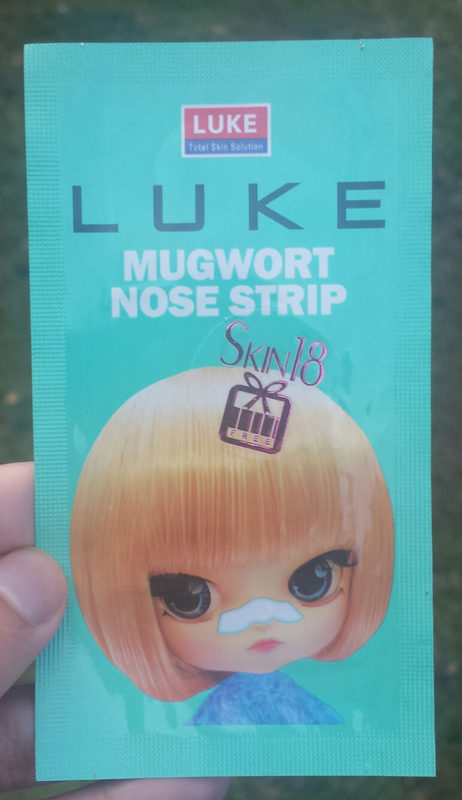 Plus it is a nice mask to use in the colder months when the skin can get very dry. But I doubt if it would suit those who have oily skin. 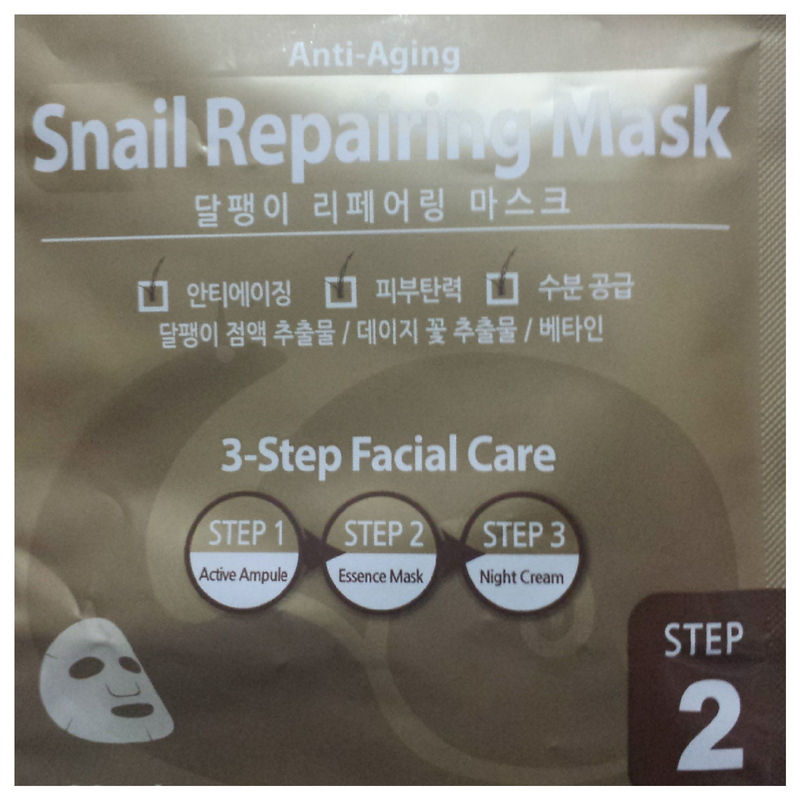 It is also a good mask for those who don’t like masks that dry and leave a tightening feeling on the skin. Overall a nice mask that I would definitely use again. 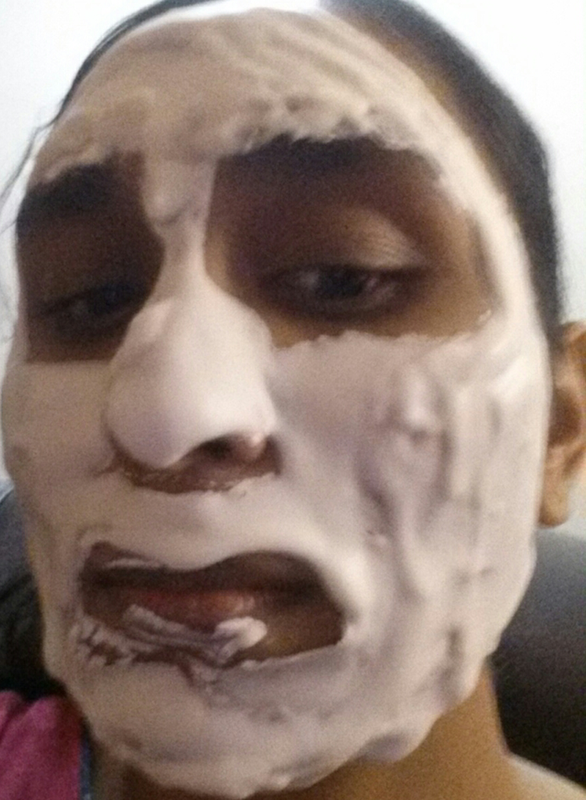 Thank you so much skin18 for supplying me with this mask!